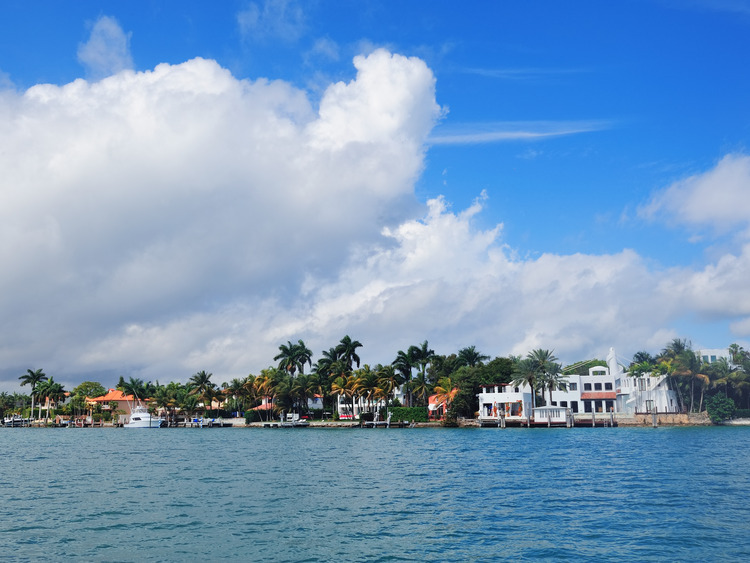 In Bayside, we board a boat for an audioguide panoramic tour of Biscayne Bay to admire the many private islands owned by celebrities known as Millionaire’s Row as well as Star Island, Palm Island, Hibiscus Island and Fisher Island. Before heading to the port, we continue our coach ride through the elegant Coconut Grove neighbourhood, Coral Gables with its Venetian Pool*, a natural pool filled every day with spring water, and the* Little Havana** Cuban neighbourhood. This excursion is reserved for guests who do not disembark in? Port Everglades.